including our Third Sunday Communion offering being donated to Christian Aid. Unfortunately, because of copyright issues, we are not allowed to name the movie but it is about one of the most transformative yet misunderstood women in history. Some consider her a sinner and others consider her a saint. 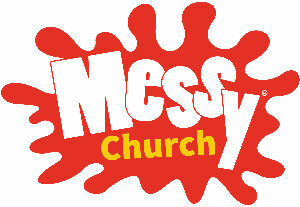 Messy Church is for all ages. You are welcome to come by yourself, with a friend or with family members. There will be creative activities, a short time of celebration with a Bible story, prayer and games. A fun clothes exchange – bring clean clothes you no longer need and exchange them for tokens. Use those tokens to swap for clothes you do want. Great for the environment and your wallet too. Everyone is welcome. You can bring clean clothes and accessories to swap for pre-loved men’s, women’s or children’s clothes. What is the set up time for? To allow you to hand over the clothes you are exchanging and get your tokens ready to start gathering bargains as soon as the swap starts at 10am. You are welcome to come at any time during the set up or the swish itself. How does this raise money for Christian Aid? Your £5 entrance donations will all go to Christian Aid and refreshments will be on sale with the proceeds also going to Christian Aid. A representative from Christian Aid will be with us for the Swish so you can find out more about their amazing work. I have more questions – help! Please use the ‘contact us’ form to ask and we will come back to you as soon as we can.